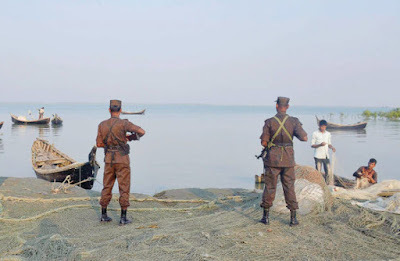 Cox's Bazar, Bangladesh -- Border Guard Bangladesh (BGB) has sent back 105 Rohingyas who fled Myanmar in the face of ongoing crackdown in Rakhine state. BGB personnel prevented the trespassing at two different points of Naf River and Palankhali Border early Monday. Hundreds of Rohingya Muslims tried to enter into Bangladesh illegally after Myanmar troops launched a crackdown in Rakhine state in response to attacks on three border posts on October 9 that killed nine police officers. 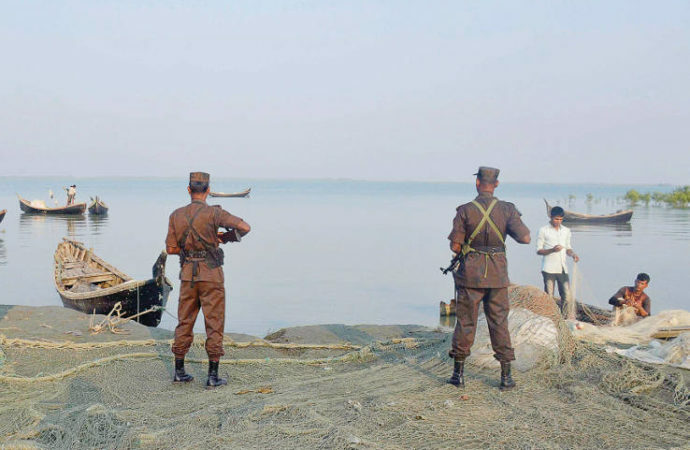 Bangladesh has beefed up security along its border with Myanmar to prevent influx of Rohingyas fleeing violence in Rakhine state that has killed at least 86 people and displaced 30,000 others. Myanmar does not recognise the Rohingyas as its citizens and dubs them ‘Bangali’.